Jon Hoech oversees all aspects of Monterey Bay Aquarium's Animal Care Division, including Husbandry Operations, Collections, Dive Programs, Veterinary Services and Applied Research (water quality) functions. As a member of the senior management team, Jon participates in short- and long-range planning and decision-making for the Aquarium. Jon has been a member of the Aquarium's Animal Care Division since 1990 and has served in a variety of exhibit care capacities, including oversight of dive safety operations. He has a special interest in fish pathology and fish health management. Prior to his tenure at the Aquarium, Jon was a high school teacher, local scuba dive tour guide and aquarium hobbyist. 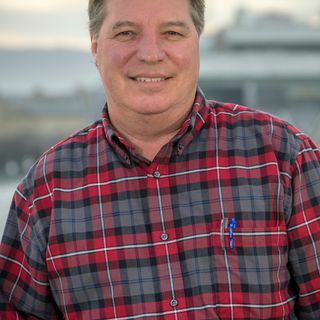 Jon holds a Bachelor of Science degree in marine biology from Humboldt State University, and a secondary teaching credential from Chapman College.